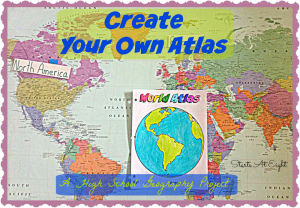 Over the span of a little more than I year I have created a multitude of World Geography games, printables, and resources. I believe one of the best ways to learn things is through hands on activities and games. 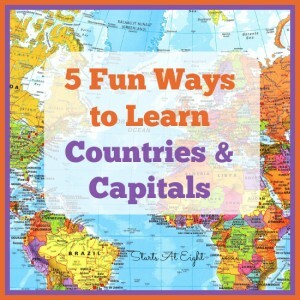 My kids always enjoy playing a fun game such as Where in the World – Fun With Geography, and the best part is they are learning while they play! 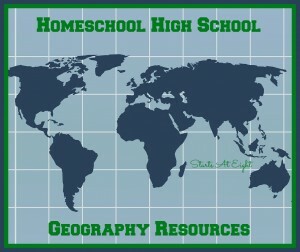 To help you engage your kids in learning topics covered in World Geography, I have compiled all of my FREE Geography Printables and resources together into one printable pack! 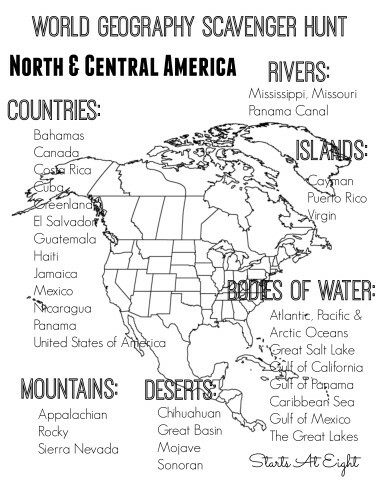 That means you get All 5 World Geography Scavenger Hunt Printables (Can be used for map labeling, scavenger hunt games, quizzes and more! 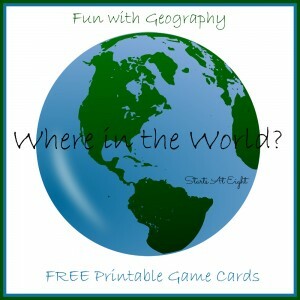 ), as well as the Where in the World Printable Game cards, and the Make Your Own Atlas Printable PLUS the BINGO Game and chips! Here is an example of what one looks like! 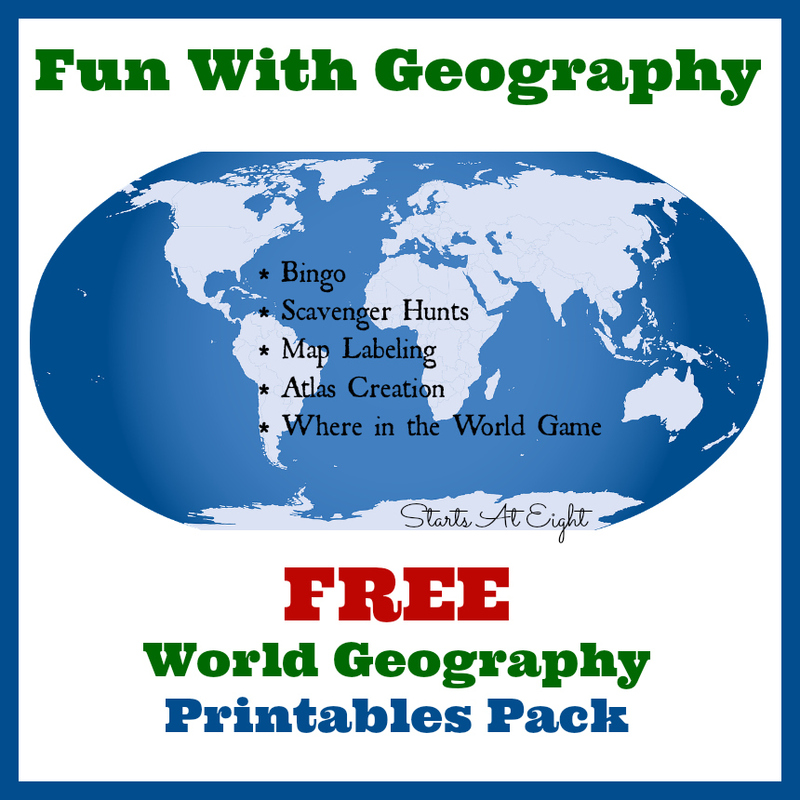 PLUS I have included a new Printable World Geography BINGO Game! We have had so much fun playing games with our World Geography Scavenger Hunt lists! 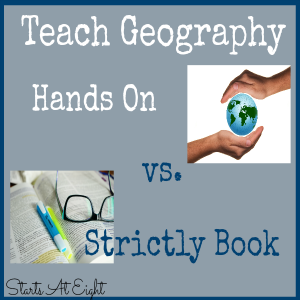 World Geography BINGO is another fun way to use these lists and further your children’s grasp of where things are in our world. World Map for reference – this way you can find and point to each location on the map to reinforce where it is. 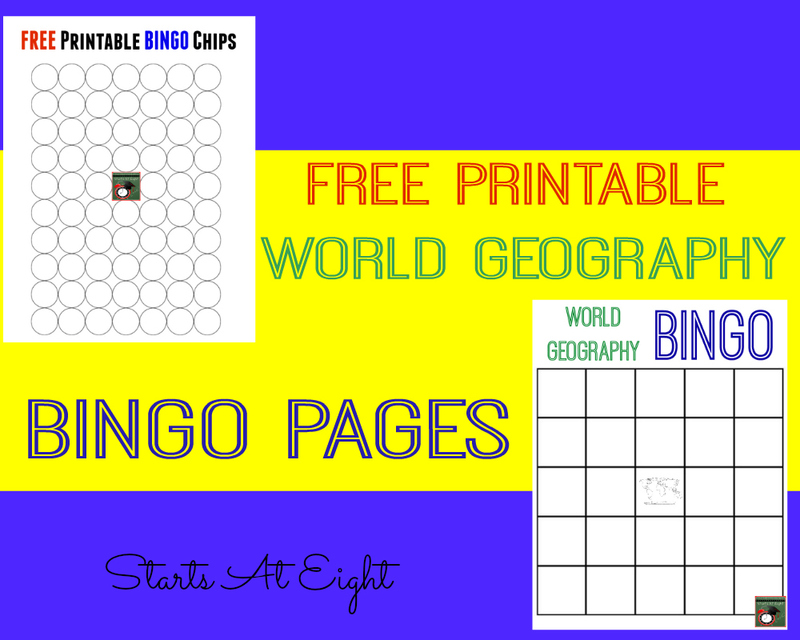 Each player needs their own printed copy of the World Geography BINGO Board and whatever you are using for markers. Every player should place a marker on the center square where the mini world map is located. This is a FREE Space for all players. 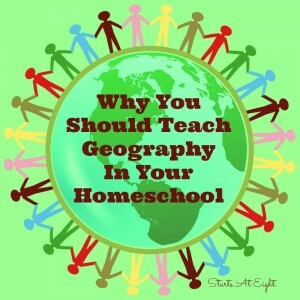 Parents will then use the 5 World Geography Scavenger Hunt printable sheets (or any combination that you agreed upon for that given round) and randomly call out locations one at a time. If a location on their card is called, players place a marker on that square. When a student gets 5 in a row (across, down, or diagonally) they shout BINGO! In order to win that round the player must have markers on only locations that have been called by the parent for that round. Play as many rounds as you would like! How fun, and great printbles. Thanks so much for sharing. I am scheduling it to post on my FB page and pinning. Thank you for sharing! I am so glad this can be of help to others!